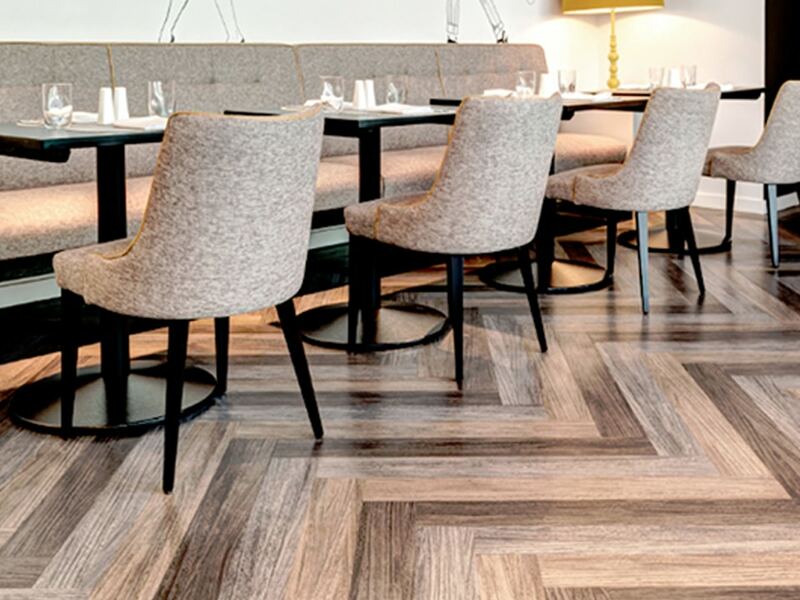 Supplying and installing restaurant flooring for many years, we know how important flooring is in providing the right atmosphere for your clientele. We will take you through the process and help you choose the floor that is perfect for the style and brand of your restaurant. Stebro Flooring is a family run business with over 50 years experience – we have the expertise to help you find the perfect flooring to match your unique space. 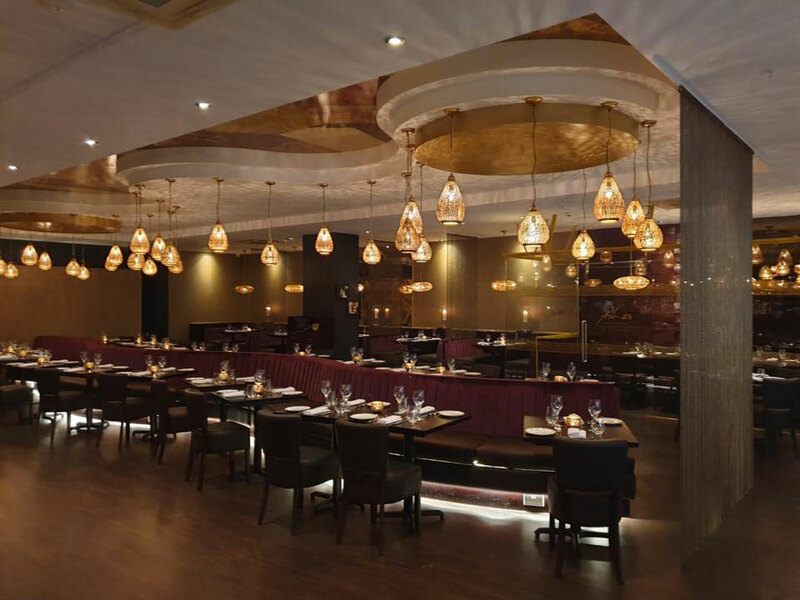 Specialist restaurant flooring contractors. Looking for advice or a quotation? Restaurant flooring needs to be hardwearing to withstand high volumes of footfall, impervious to spillages and easy to clean. You also want to have a wide selection of colours, patterns and textures to choose from to create the perfect ambiance in your restaurant and an environment where your customers want to spend their time and money. For over 50 years we have been the UK’s leading supplier and installer of commercial restaurant flooring. 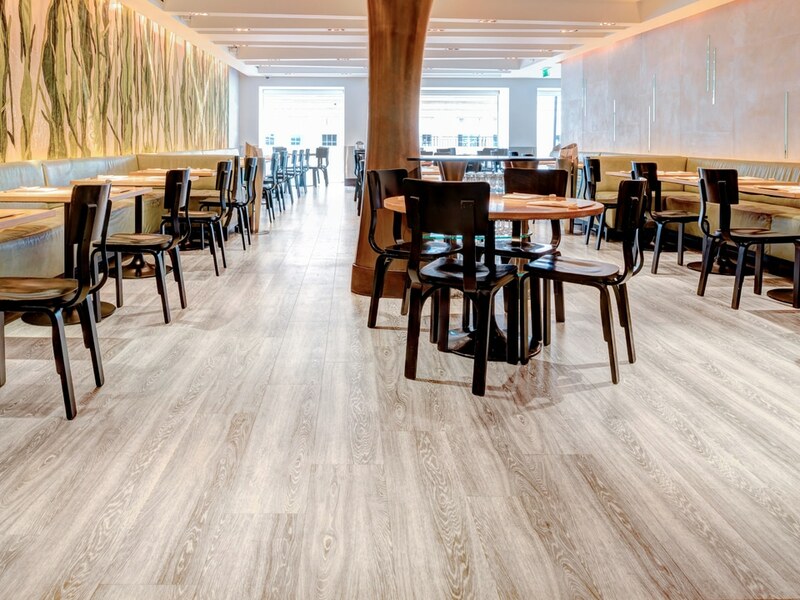 Choose Stebro Flooring for your restaurant floor and you will receive expert advice from initial design consultations and flooring product recommendations to installation and long-term performance. What’s more, with many of our recommended restaurant flooring products you will enjoy a 10 year manufacturers wear layer guarantee. 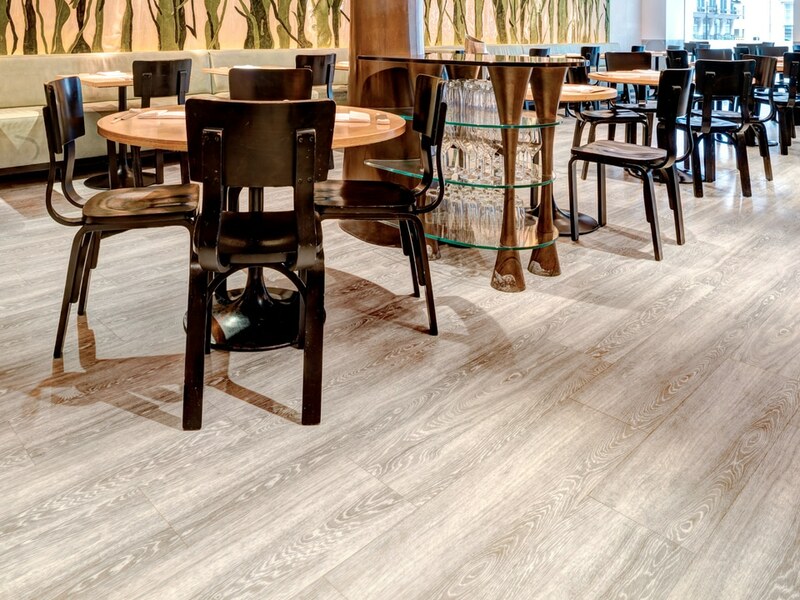 Commercial vinyl tiles are a flexible and hardwearing choice for your restaurant flooring. Available in wood effect with a selection of realistic wood planks in a range of tones, textures and grains or stone effect with marble, slate and ceramic finishes. Vinyl plank flooring is perfect to capture the character of a natural floor without the ongoing maintenance that’s required with oak, marble or ceramic floors. After a busy service, you need a restaurant floor that’s low maintenance and easy to clean. Unlike ceramic or marble floors that require regular polishing, our commercial vinyl flooring products are very low maintenance and can be cleaned quickly with regular cleaning products. They also create a seamless floor surface, without porous grout lines, so there’s no gaps to catch dirt and harbour bacteria. We offer commercial floor coverings for all areas of your restaurant including your kitchen and washrooms. We recommend heavy duty safety vinyl in commercial kitchens for a hardwearing floor coverings that’s slip resistant, easy to clean and resistant to heat. Learn more about flooring options for commercial kitchens. 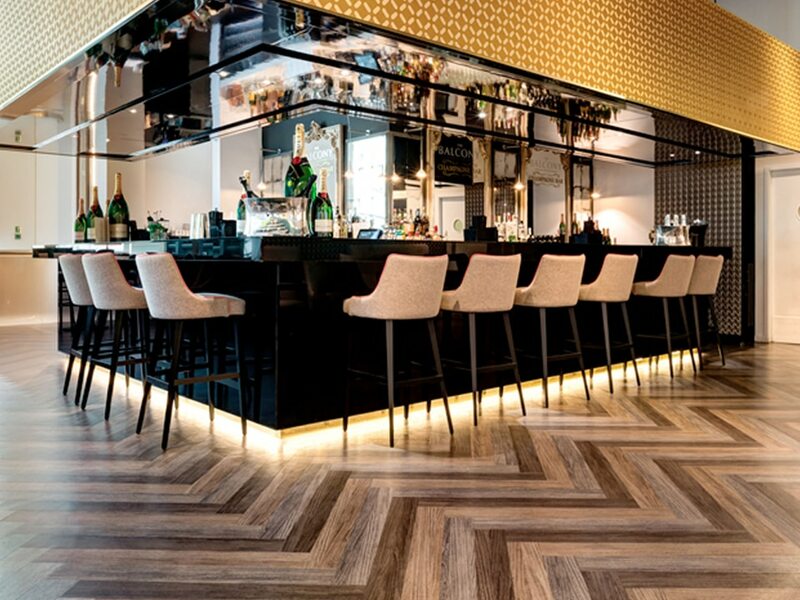 We’ve successfully installed 100s of restaurant floors for hospitality clients including Punch Taverns, McKenzie’s, The Barn Longdon, The Swann with Two Necks, The Abbey Restaurant, Yew Tree Deli, Urban Emporium, Sweet Treatz and many more. Please contact us for advice, to request flooring samples for your design mood boards or for a no obligation quote for your restaurant flooring.